Saying it’s different doesn’t quite describe everything that’s new, so allow me to break it all down for you. For starters, the phone now offers IP67 water and dust resistance, which ups the overall size of the device over last year’s model. However, even with a slight increase in size, it still has a 5.7″ IGZO LCD display capable of 120Hz refresh rate. Also unchanged is the amount of RAM, 8GB, though you will find Qualcomm’s latest Snapdragon 845 processor powering the show. And even though the body is every so slightly larger, it still has a 4,000mAh battery, which is plenty fine. If we go to the backside, you’ll start seeing big changes. 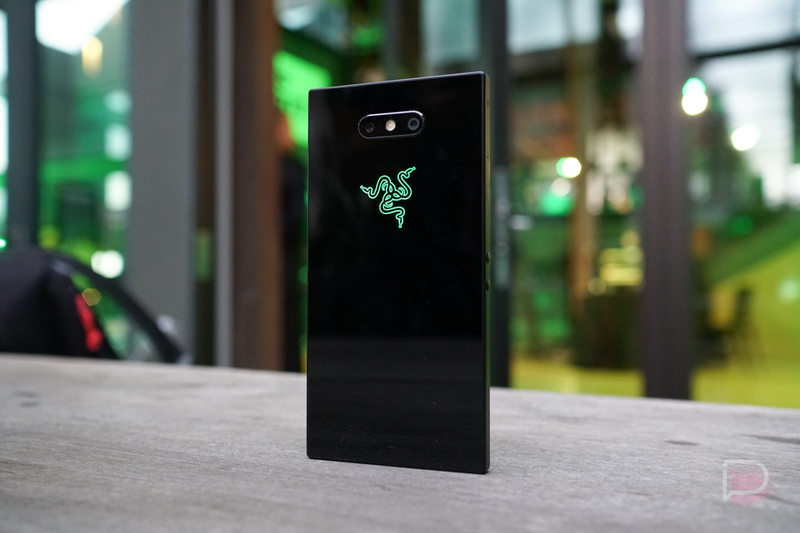 Instead of a matte black backside with what I think was a sticker logo, Razer Phone 2 has a glass backside, complete with a Chroma RGB LED logo. Inside of the Settings menu, owners can access the LED’s settings, complete with battery saving options, color options, and more. The coolest thing this LED can do is display different colors for notifications from certain apps. For example, Gmail notifications will be red, WhatsApp will be green, Facebook will be blue, etc. Razer also spent time discussing the cameras. The company seems to know it dropped the ball last year, but this time around, they think they have some solid shooters. On the back are dual cameras, both 12-megapixel, one lens being wide angle with OIS and the other being a telephoto. You’ll find phase detection autofocus, 4K video recording with stereo audio, as well as an 8-megapixel camera on the front of the device. Other specs include 64GB of built-in storage, front-facing stereo speakers, wireless fast charging (thanks to that glass back), an improved antenna setup (again, thanks to the glass back) capable of 1.2Gbps speeds, and Android 8.1 Oreo. No word on a Android 9 Pie update, but we’ll let you know. 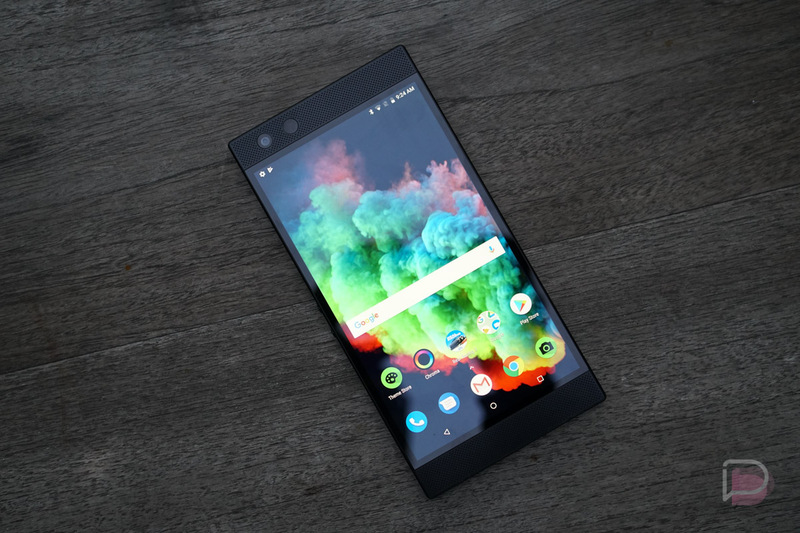 Razer Phone 2 is priced at $799 with pre-orders starting tomorrow, October 11 on Razer’s website.